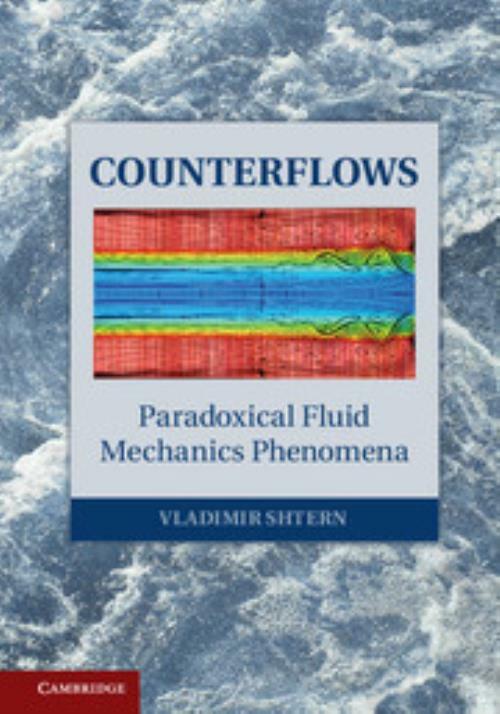 This book discusses the physical mechanisms that drive counterflows, examining how they emerge, develop, become double and multiple counterflows and comprise both global and local circulations. Counterflows play an important role in nature and technology. A natural example is the Gulf Stream and the opposite flow in the ocean depths. Technological applications include hydrocyclones, vortex tubes and vortex combustors. These elongated counterflows are wildly turbulent but survive intense mixing, a seeming paradox. Local counterflows, whose spatial extent is small compared with that of surrounding flows, occur behind bluff bodies and in swirling streams. The latter are often referred to as vortex breakdown bubbles, which occur in tornadoes and above delta wings. Most scale counterflows are cosmic bipolar jets. Most miniature counterflows occur in capillary menisci of electrosprays and fuel atomisers. 14. Stability of conical flows. Dr Vladimir Shtern is an applied mathematician. He received his PhD (1970), Doctor of Sciences (1978) and Professor (1990) degrees from the Institute of Thermal Physics in Novosibirsk, Russia. He has worked at the University of Houston (1990–2003), the University of Seville (1993–1994), the DLR Institute of Fluid Mechanics in Gottingen, Germany (1994–1995), the University of Bristol (1997) and as the Senior Scientist of General Vortex Energy Inc. in Missouri City, Texas (2008–2010). He has also served as a consultant for Shell US and BP-Amoco Exploration. Dr Shtern is a specialist in fluid mechanics and heat transfer with a focus on vortex flows, thermal convection, combustion, hydrodynamic instability and bifurcation theory. His results include analytical solutions of the Navier–Stokes, Boussinesq, MHD and compressible gas equations, and explaining mechanisms of intriguing and practically important flow effects, such as multiple solutions, hysteretic transitions and vortex breakdown among others. Dr Shtern is an author of three books and more than one-hundred papers in referred archival journals.